Sleep. It comes in all different sounds and patterns. It's a beautiful, restful cycle. Yet, our kids will go to all kinds of crazy measures to postpone bedtime while we parents would do anything just to get a little more of it (dreaming of naptime, anyone?). Though we view sleep as a peaceful and necessary way to recharge, our kids don't always see it this way. When kids aren't getting to bed when they're supposed to or they aren't sleeping through the night because of made-up monsters roaming around the bedroom or the inability to quiet down, getting your child to sleep can become a very frustrating process. • Create and stick to a bedtime routine. For example, brushing teeth at a specific time, listening to soothing music before bed, reading a favorite bedtime story, singing a lullaby, taking a warm bubble bath, saying goodnight to others in the house, etc. This routine can last anywhere from 15 minutes to an hour, but be sure that your child has enough time to wind down before bed and doesn't feel rushed. Establish a consistent bedtime and wake up time. 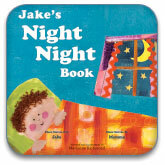 • Discuss bedtime rules with your children and make sure you put them into effect. • Make sure your little one has gotten enough exercise during the day so he's all tuckered out when bedtime rolls around. • Be there to tuck her in with a cuddly friend (a stuffed animal, a blanket, or a favorite doll). • Make your child feel safe and secure. Try giving him or her props that will provide protection against any nighttime fears, like a flashlight and a tough-looking toy to stand guard at the door or the closet. • Remind your child why sleep is important and why we need it. Sometimes kids can feel like they're missing out on some fun activities when you put them to bed. Explain to them that they aren't missing anything, and that tomorrow will be an even brighter, more beautiful day! But, without sleep, they won't be able to get the most out of it. • Provide a cozy environment for sleep that your child feels comfortable in. A cool, dark room (with a night light if necessary) usually suffices, but be sure to ask your child if he or she's comfortable. Hint: No matter your child's age, try to keep computers, television, and other digital gadgets out of the room. • Always, always, always include a bedtime story. In our opinion, you should read together every night, but if that doesn't fit into your schedule, try to commit to a few times a week (at least!). Our favorite part of the bedtime routine…snuggling up with stories! Curl up in bed with your little one and read together. Reading any storybook before bed is a great practice; however, if your child has an especially hard time calming down before bed, we recommend choosing a sleep-themed books to inspire some ZZZ's. Add a small, warm glass of milk or tea to the equation, and your child will be floating away to dreamland in no time. 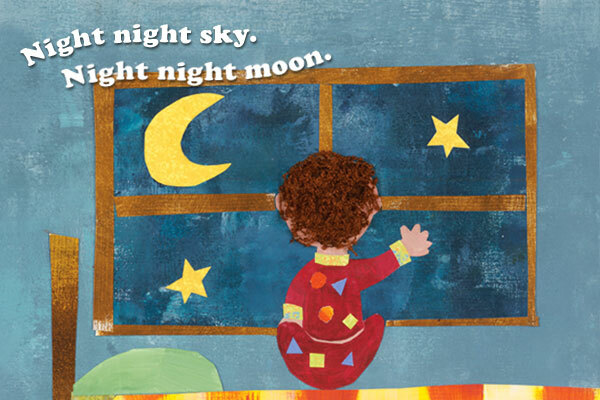 The Night Night Book is an adorable bedtime story that helps kids bid farewell to the day, settle in for the night, and rest up for a new tomorrow. Sleep comes softly. Like a cloud that drifts through a bright summer sky and sweeps a cool shadow across the land. How Does Sleep Come? is a true, sleepy-time tale. On the night you were born, the moon smiled with such wonder that the stars peeked in to see you and the night wind whispered, "Life will never be the same." Soothing, poetic text and richly illustrated pictures make this beloved classic perfect to read before bed.